A specialist in providing cleaner, safer and more productive work environments is heading to IMTEX next week (24th to 31st Jan), as part of ambitious plans to expand its business in India by 30%. 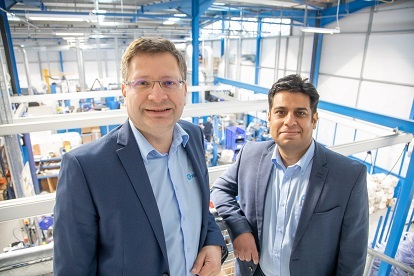 Filtermist, which employs over 90 people across its UK Headquarters and five international offices, is looking to tap into the sub-continent’s growing desire to improve its environmental performance. The Telford-based company will be making its debut (Hall 4, Stand A122b) at the global event for the Indian metal cutting sector and will be showcasing its industry-leading oil mist filters that remove oil and coolant mist, fume and steam from the air in industrial workplaces. The event marks three decades of trade in India and comes a few weeks after Filtermist’s parent company Absolent Group registered new company, Absolent Filtermist India PVT Ltd, which operates a sales and technical office in New Delhi. “Our export sales have risen significantly in recent years and we are seeing strong demand from customers in India and other Asian manufacturing hotspots,” commented Stuart Plimmer, Director of Group International Sales at Filtermist. Filtermist is part of the global Absolent Group that comprises the strengths of air filtration specialists Absolent AB, Bristol GmbH, Dustcheck and project management experts Multi-Fan Systems. Services offered include oil mist, smoke and fume extraction, dust control, VOC abatement and industrial ventilation. For further information, please visit www.filtermist.com or follow @filtermistint on twitter.